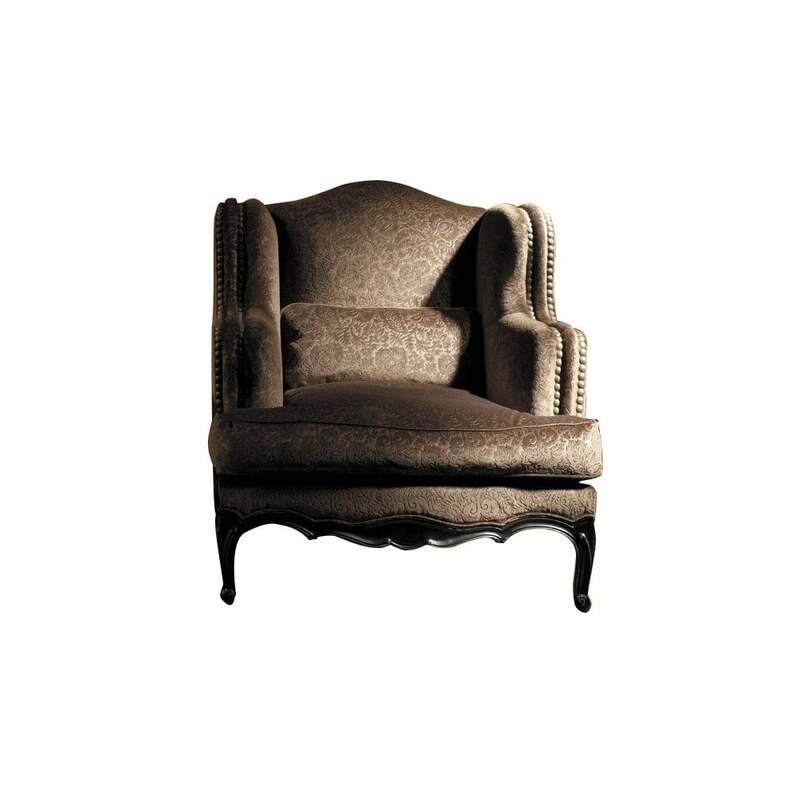 armchair designed by GuillermoT. Solid Wood dowelled pine frame, Stained beech legs varnished with polyurethane. Seat made using elastic webbing, webbing and 35 kg density HR foam. Back made using zig-zag springs and 35 kg density HR foam. Arms made using HR polyurethane foam. Seat cushions filled with HR polyurethane core and feather wrap. Back cushions filled with 100% feather wrap. Nails finished in brass, dark brass or chrome.